Okay, editing to give a more full response. I've noticed activity in general has been down. I've certainly struggled to stay active the last couple of months, and sometimes it does feel like a chore trying to keep characters active. With Nash, for example, I didn't realize he was inactive again until after the AC. I thought I'd had a post for him. It's even harder posting and keeping up with AC's when it takes a week or so for characters to be accepted back into the game again. I know staff is busy, but as it has been mentioned in previous replies, that is a long time, especially when the AC drops every two weeks. I think a fresh start - even if we're keeping our same characters - would be a wonderful thing to help people gain muse again! Even before I started to struggle really badly again I noticed it was hard for me to get replies out because nobody was replying to any threads I would post or try to participate in. With Kaela, for example, all but one or two of her dead threads had her as a last reply. It's really discouraging to say the least. That being said, I love Tagg and I love Fallen Tree Cove and I want to keep his character at least a little bit longer. I have come and gone and I know I've been a member since high school, so four or five years? I was inactive for a year between high school and college but for the most part I've managed to stay somewhat caught up for the last two. Even if I lose muse for a bit, I always come back. I love you guys and I love this site and when I started reading the announcement my first thought was: "Can we keep slack?!" Because you guys are definitely the best part. I want to keep playing and keep talking to everyone here, and the idea of a new setting and a fresh start is very exciting. I want Staff to have it easier too! We all have lives and RoW shouldn't feel like a chore, even to the people who run it. I'll keep lurking to see what's up and try to at least keep one of my chars up through the change. I'll update my top 5 lists as I think more on them. I want to have good reasoning behind them. Posting this to share feedback a prior member sent me in a PM. Quote: 1) I think moving and simplifying the site is an excellent idea. RoW's complex systems serve as a barrier to entry for new members and I know many people, myself included, who have joined multiple times and never stayed because advancing past bottom ranks in the game was too complex and feels impossible for a new member even if they are very active. The LP and fight systems do make longer term characters almost untouchable... and while many members here like that, I'll be honest that for a new member, it makes opportunities look very scarce unless you put in months or even years of time, regardless how active you are, even just to be a middle ranking member of a pack and that is uninspiring for many roleplayers. 2) I think RoW should go the way of other RPGs and allow people to write as much or as little as they like. The word count requirement is unattractive for the more freeform writers of today and I know of many players who refuse to join a site with a post count requirement, because even if they easily meet it regularly, it adds a pressure that turns many modern roleplayers off the site. I've known many players who have talked of RoW and said they'd love to join but having even a tiny word count restriction feels unnecessary. I appreciate RoW operating on a real-time schedule such as 1 day = 1 day. I can't keep up with places where the season changes every three weeks or whatever, too much hassle. Plus there's little-to-no guilt if I have to be away for a week, I don't end up missing like 2 months in character. The big map is nice for seeing where everything is in the grand scheme of things but the small maps in the sub-territory article are just nicer, in my opinion, for really seeing the closeness of things per territory. Plus the way the paws are set up on the image is super helpful in understanding just how big pack areas are compared to sub-territories nearby. It's just a nice chart to see where everyone stands, what roles are present and have important links/quick info. I will say that despite my love for it, it could probably use a little facelift but it's useable and understandable all the same. I know they haven't been a thing for a bit now but OTMs are such a great way to inspire and admire our member base. People work hard and characters are always up to something. We should be showing that off! I really enjoy being able to tweak things to look how I want and being able to apply my own skins to my profiles to give it a more personal feel. I just want to see it clarified what markings are classified as realistic or not realistic. I've seen things that I wouldn't consider realistic but maybe other people think they are. Also possible guidelines on the rarer appearance traits (piebald, albino, etc.)? I love to be in contact with you guys whenever, wherever but Slack just isn't the platform to do it on. They don't need to go entirely but maybe they should be limited to more of the OOC/BWP side of things. April Fools, Halloween, BWP Events, Voting, etc. Becuffin made a pretty good point about us all pretty much growing up with RoW and that we shouldn't be afraid to adjust it to grow with us. I'm sure some number switching would need to happen to make it a reasonable thing, especially on the leadership end, but I'm all for adjusting the ACs. I think the OOC side of things is fine but there should be a clear or easier way to get to the IC side of the board. New people have definitely stumbled around and asked where to find the section before. Considering that our game takes place on that side of the board, it should be more guest/lurker/newbie friendly. But this announcement didn't throw me too far off guard. Everyone's lives have significantly changed in all these years and RoW has gotten pretty quiet. I've always wondered when it would have to be put to put to rest. While I do love it I too have had a hard time being here lately. Stressing about what I should do with my characters. Wondering if I should even put forth the effort. I mean it is supposed to be for enjoyment, no matter how much time you put in. I don't blame the staff one bit for wanting to pull the plug. There have been plenty of times I thought it was time to say goodbye. I haven't really felt like part of this community for a long time despite being here, trying to. But....thinking about moving, and things changing. Well it does give me hope that maybe things can change for the better for everyone. I really love the whole of how RoW looks, and functions with all the amazing features but figured I better really narrow it. 1.AC checks (I think once a month would be great) At the same time I do like how Leaders are expected to do a little more so it'd be interesting finding a balance. Cause the same could be said for someone who keeps leaving and get to keep their other ranks too. 3.Breeding season. It was nice that more than leaders could have offspring, but then that seemed to blow everything up that we have so many new characters that mean nothing. It seems characters get dropped so new pups can be taken, and then they end up droppin the pups later. It all seems to defeat the purpose. For awhile I've been thinking on the idea that they shouldn't be created unless it's for a reason. Like at a horse rpg, horses can breed whenever but no one does it unless a player wants a foal specifically. A player will post an ad letting people know they are looking for certain genetics (coloring,temperament) for a future character. Or if a couple/character they like would by chance even have offspring. Was it perfect? No, but I saw young characters actual grow and stick around a lot more of the time. It was a lot less chaotic. With that thought I also think the breeding season should be more than a month, even just two. Who wants to miss that window of opportunity for just those 30 days and then have to wait a whole year? It's another pressure in my mind that makes people sacrifice. Lets face it that month is more interesting for the new aspect wolves don't deal with all year round. 4.The amount of packs. I've always had in my mind that less would be better for activity. It would mean packs themselves are more lively. Full of participating players so more interactions and story lines happen naturally. It seemed when there was Grizzly Hollow and Swift River there was a lot more going on. I don't know if setting a certain limit would help. Make creation harder? Just random thoughts. I have very little importance to contribute, tbf, but seeing as I was coming on to figure out if I had the motivation and muse to stay and continued RPing here I'm glad to see that there will be something new brought to the table. I've had random bursts of interest for RoW for years now and I think it'll be nice to see a change. Anastasia has and always will be my most prized possession but I found it so hard to get anything started because of my uncertainty regarding plots. While I'm sure it won't be a change made (though there was mention of removing the mountain for easier access) my biggest slump was always the real-time traveling. The real limitation to how far a character could travel realistically and prevented me from really being able to role-play with new and different characters without jeopardizing their position in the pack, etc etc. OK all done. Gonna attempt a post now. OH ALSO. I'd really, really, really like to see the Discord thing be put into action?!?! Cause I... ALWAYS forget to put a tab open for slack and discord is ALWAYS open for me and makes it easier for me to communicate on that. I also agree that <b>activity checks</b> would be, in my opinion, better as a once a month type deal. Or at the very least easier for me, I can't speak for anyone else, but most of my sites I've been on over the years have been make at least one post per month (unless you're a leader then it's more, obviously) and you're golden. I feel that this whole situation is a difficult choice for the members of this site, it is hard to make a choice about what your character is going to do in-game (stay or go) without having a reason why the wolves are leaving in the first place, @Alvar might leave, but would need a good reason, @Emmaline would leave to go search for her brother but not without someone else to help her and keep her safe. 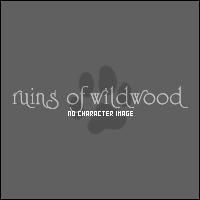 (Feb 14, 2019, 11:47 PM)Alvar Wrote: I feel that this whole situation is a difficult choice for the members of this site, it is hard to make a choice about what your character is going to do in-game (stay or go) without having a reason why the wolves are leaving in the first place, @Alvar might leave, but would need a good reason, @Emmaline would leave to go search for her brother but not without someone else to help her and keep her safe. Hi! I just wanted to say that we will not be coming up with a staff manager plot or reason for wolves to move. We would rather not spend our energy doing that right now. However you are welcome to come up with your own reasons as a group as long as they are not catastrophic to the setting. We want to retire Relic Lore whole and undamaged. If you want to say the herds disappeared or the main den flooded or come up with some pack plot then go ahead! One of the best things about row over the years is that it’s needed very little staff involvement for people to come up with their own stories. (Feb 14, 2019, 11:52 PM)Sahalie Wrote: Hi! 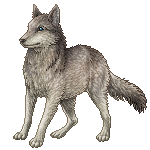 I just wanted to say that we will not be coming up with a staff manager plot or reason for wolves to move. We would rather not spend our energy doing that right now. However you are welcome to come up with your own reasons as a group as long as they are not catastrophic to the setting. We want to retire Relic Lore whole and undamaged. I understand completely, and feel that a lack of pre-prepared storyline for this is understandable, you are people with your own lives after all, I simply was putting it out there so that the community might start thinking on ideas for why the move is happening.